Copyright: Scripture taken from the HOLY BIBLE, NEW INTERNATIONAL VERSION�. 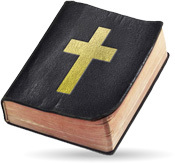 Copyright � 1973, 1978, 1984, 2011 International Bible Society. Used by permission of Zondervan. All rights reserved.